Imagine a robot trying to size up a difficult situation, to find a way of responding. Its sensors receive streams of information, from which it tries to reach judgements. If it relies on deduction alone, it will not get far, no matter how fast its inference engines; for even the most massive information is still typically incomplete: there aare relevant issues that it does no resolve one way or the other. The robot, or human agent for that matter, needs to go beyond these limits. It needs to "go supraclassical", inferring more than is authorized by classical logic alone. But such inferences are inherently uncertain. They are also nonmonotonic, in the sense that the acquisition of further information, even when consistent with the existing stock, may lead us to abandon as well as add conclusions. 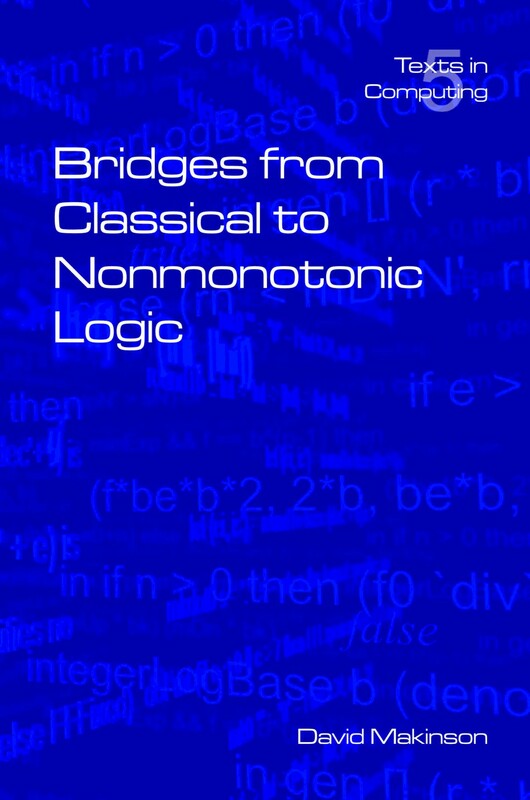 Nonmonotonic logic is the study ofo such reasoning, and has been the subject of intensive research for more than two decades. But for the newcomer it is still a disconcerting affair, lacking unity with many systems going in different directions. The purpose of this book is to take the mystery out of the subject, giving a clear overall picture of what is going on. It makes the essential ideas an main approaches to nonomonotonic logic accessible, and meaningful, to anyone with a few basic tools of propositional logic. It is written as a textbook, with detailed explanations, examples, comments, exercises, and answers.Students and instructors alike will find it an invaluable guide.